Every so often the gourmet girl’s group decides to set a challenge. The latest one was a mystery ingredients dinner. It involved going to Moore Wilson’s and choosing secret delights for each other to cook. 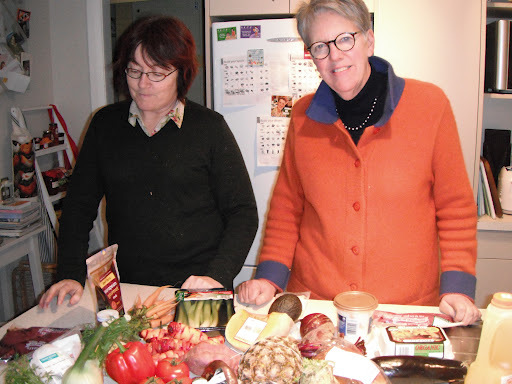 We try and choose something we haven’t used before – funny, two of us bought venison. My main ingredients were pork and beetroot and Sue and Elizabeth used the venison with spectacular results. Delicious succulent balls of meat on a tomato base, kebabs, and stir fry served with buttered baby carrots, and kumara rosti. Wouldn’t have been complete without fresh herbs from the garden.